We are delighted to confirm that Salomon Skyline Scotland™ will host the International Skyrunning Federation (ISF) 2018 Skyrunning World Championships on the 13-15th September from Ice Factor Kinlochleven, Scotland in which a total of eight Skyrunning World Champions will be determined. The races are open to both individuals and national teams. This announcement comes as the 2017 Salomon Skyline Scotland event is recognised for its outstanding quality, and is confirmed as a Finalist in Scotland’s Highlands & Islands tourism awards. The celebrations open with the Salomon Mamores VK on Thursday 13th September. The race has already proven to be unique within the Vertical Kilometer® World Circuit with its very Scottish take on the Vertical Kilometer® format. Over a 5km distance, the route gains 1,000m from sea level, initially on good trails before breaking out of the tree line and tackling the flanks of Na Gruagaichean direct. This section is steep and rough, before a wonderful rocky ridge leads to the 1056m-high Munro summit with panoramic views in all directions. 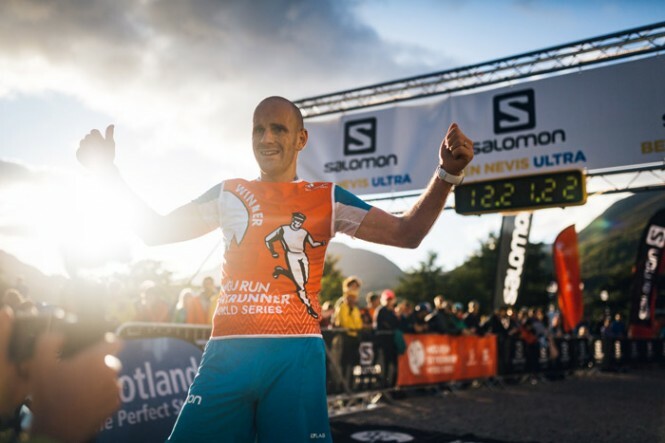 The ULTRA world champions will be determined at the Salomon Ben Nevis Ultra™ on Friday 14thSeptember. The current Salomon Ben Nevis Ultra course will be redesigned from the 2017 version to fit the new Skyrunning criteria, which includes a maximum course length of 66km and running time of 16 hours. The 2018 route will still incorporate the spectacular summit of Britain’s highest mountain, Ben Nevis. Subject to spring testing the new Ultra will be ±65km, with ±4,000m+ vertical climb and a greater focus on mountain and ridge running compared to 2017, but avoiding the most technical ground which is reserved for the flagship Salomon Glen Coe Skyline™ race. 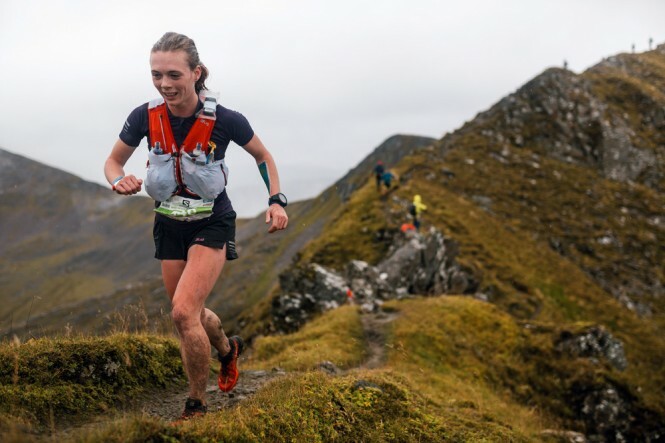 The Salomon Ring of Steall SkyRace® race has proven a popular choice for runners and the 2018 edition will decide who are the SKY world champions on a classic 29km Skyrunning course that features 2,500m of vertical climb on uncompromising mountain terrain that includes easy scrambling, steep ascents, ridge traverses and technical descents. He continued, “There is of course a huge amount of work to do to prepare for the 2018 Skyrunning World Championships, not least liaising with many stakeholders and landowners who have supported this event from the start”. Over the previous editions, Salomon Skyline Scotland™ have already attracted many of the world’s elite Skyrunners including: Stian Angermund-Vik, Maite Maiora, Laura Orgué, Emelie Forsberg, Sheila Avilés, Marco De Gasperi, Jan Margarit, Alexis Sévennec, Kiril Nikolov, Pascal Egli, Hillary Gerardi, Mira Rai, Tom Owens, Malene Blikken Haukøy, Bhim Bahadur Gurung, Max King, Megan Kimmel, Jonathan Albon, Ragna Debats, Oihana Azkorbebeitia, Mira Rai, and of course Kilian Jornet. 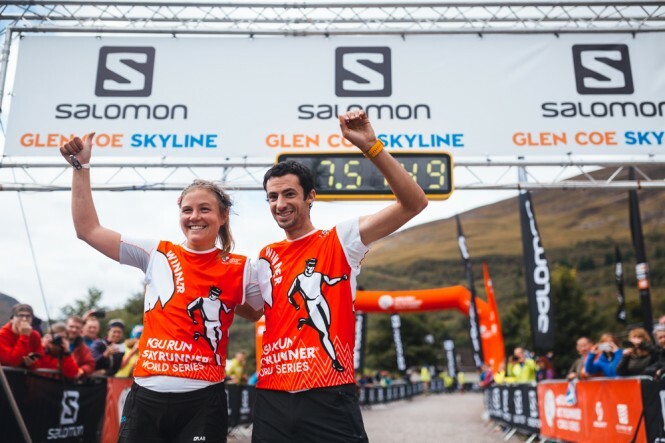 With three of the Salomon Skyline Scotland races becoming exclusively World Championship races in 2018, the Salomon Glen Coe Skyline (to take place on the final day – Sunday 16th September) will now be the only Skyline Scotland race on the Migu Run Skyrunner® World Series in the new SKY EXTRA category. 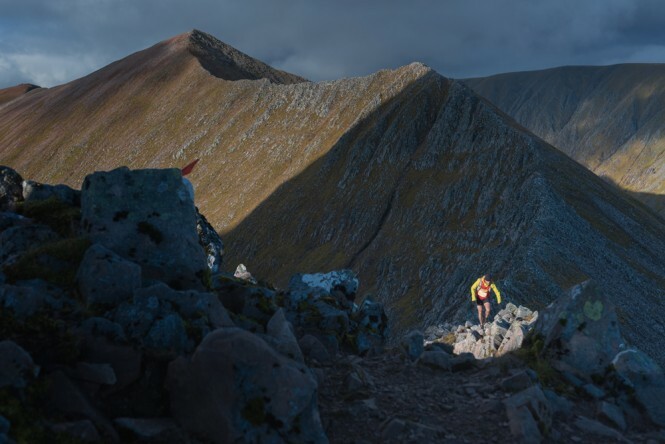 The Salomon Glen Coe Skyline™ is broadly considered to be one of the most challenging mountain races in the world and follows in the finest tradition of the most prestigious Skyrunning races, fusing mountain running and alpinism in a pure test of speed, endurance and skill on an uncompromising, world-class course. The route features long and sustained sections of scrambling terrain, which is roughly equivalent to moderate standard rock climbing. The 2017 edition was won by Skyrunning superstars Emelie Forsberg and Kilian Jornet, both setting new course records. Athletes from no less than 40 countries competed in the 2016 Skyrunning World Championships held in the Spanish Pyrenees. The reigning champions are: Luis Alberto Hernando and Caroline Chaverot for the ULTRA; Stian Angermund-Vik and Laura Orgué for the VERTICAL and Maite Maiora and Stian Angermund-Vik for the SKY and combined titles. WADA anti-doping tests will be carried out at the Championships. 2018 entries will open on Tuesday 9th January at 12:00 GMT and the programme, race and further details will be published before then. Please subscribe to skyline’s newsletter and join Skyline on Facebook to be the first to get updates.